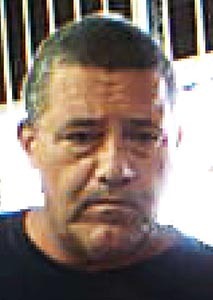 Big Island police have acquired a current photo of 50-year-old Richard Broyles and ask for the public’s help in determining his location. Broyles is wanted for attempted murder. On March 25 around 1:20 p.m., Puna patrol officers responded to a report of an assault at Glenwood Park off Route 11. Police and Fire Department Rescue personnel discovered that a 46-year-old Volcano man had sustained a stab wound to his chest. Rescue personnel took him to Hilo Medical Center, where he required surgery. Broyles, who is also known as “Rick,” is described as Caucasian, about 6-foot-2 and 275 pounds. He was last seen leaving the scene in a light-colored 1999 Plymouth Voyager van, license plate KAC 934, and headed in the Volcano direction on Route 11. Police caution the public not to approach Broyles, who is considered dangerous. Instead, police ask that anyone with information on his whereabouts call Detective Robert Almeida at 961-2386 or the Police Department’s non-emergency line at 935-3311.